If you're following US writing conventions, use spelled. If you're following UK writing conventions, use spelt. The verb to spell most commonly means to write or name the letters that form a word in correct sequence. To spell is one of those verbs with both an irregular form and a regular form. (See the table below for some others.) The past tense and the past participle can be written as either spelled or spelt. However, they are not interchangeable, especially in the US. In America, spelled dominates. 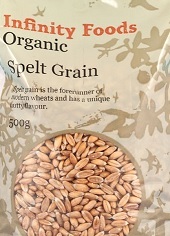 The use of spelt as the past tense or past participle of to spell is considered a spelling mistake by many. It will certainly annoy a fair proportion of your readers. It's the same with misspelled and misspelt. Americans demand misspelled (and Brits will accept it). However, Brits prefer misspelt. As with spelt, the second form (e.g., learnt, dreamt) is more common in British English. In America, the noun spelt is used to refer to a kind of wheat.